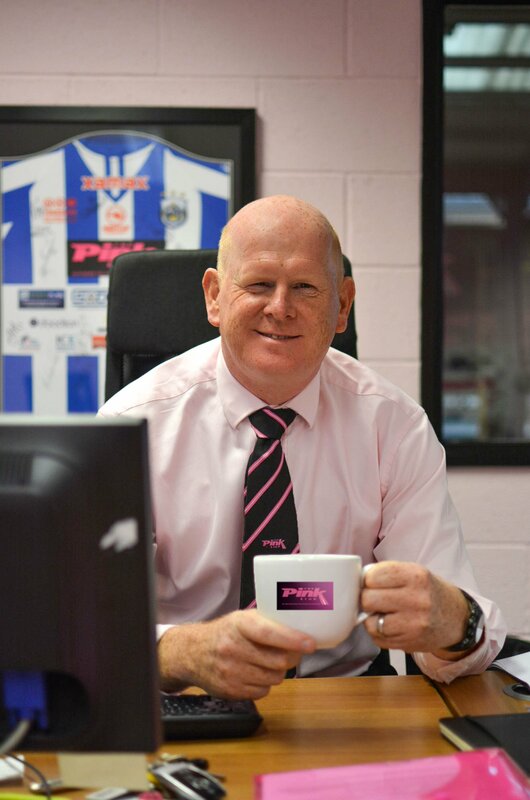 Paul Ince, Joint Managing Director of The Pink Link sees himself as a “jack of all trades”. Having started life as a civil engineer he moved into the home improvement and home accessory sectors gaining experience in a variety of sales, manufacturing and operational roles. Paul now holds responsibility for the day to day activity at The Pink Link; allowing Richard Allen and Vicki Davenport, the brother and sister team who built the business, to undertake more strategic roles as the company embarks on its next stage of growth. 1) What is your business motto? My personal motto is “do the right things and the right results will follow”. In a business context this works as well – set your strategy, commit to your core principles and growth and profitability will follow. As an example The Pink Link has established itself based on a quality service, a personal approach and an involvement in the community. By establishing these as foundations of our business, and not wavering from these values, the company has become a recognised brand in the area with a customer base who recognise and share these attributes. 2) How do you make contacts which are useful to your business? Our brand is a key driver in this as it is so visible; whether it is a Pink truck, our partnership at the Football club or our work with local charities. In addition we connect at Chamber of Commerce meetings and the Yorkshire Mafia events. Often contacts made in these meetings are not directly involved in our sector but “6 degrees of separation” means they always know someone who is! 3) What makes your business different? Well our offices are Pink as well as our lorries! Seriously I think we are different because we employ people who care about the customer and the outcome of their delivery. When everyone is aligned behind that ethic then it becomes a powerful force. This has seen us not only establish ourselves as the premium network provider in the area but also be recognised outside of our industry (including by the Examiner) as a quality business. 4) What do you always have to do? I am a data junkie so I constantly have to check our figures, hence I always have access to my phone and the company’s computer systems. I look at our delivery and collection volumes though more likely our service performance statistics such as on time deliveries and ETAs percentage achieved. These basic numbers underpin our performance, customer’s perception and profitability…… hence my acute interest in them. 5) Do you dress-up or dress -down for business. We all dress up for work. The male office staff wear ties (pink and black) and the ladies are in matching pink blouses. Drivers are also issued company workwear as living our brand is very close to all our hearts and binds us together as a team. I think when people come to our offices the style of dress exudes a feeling of quality and professionalism which is what we aspire to achieve. 6) Which person/people has/have inspired you most in your business life and in what way? My family. They inspire (challenge) me to keep them in the manner in which they (not me) seem to have become accustomed!! 7) What’s your proudest achievement in business? Probably my biggest ever single sale – £2.846m of product (at full margin) to a national DIY retailer on 7 day payment terms. There are not many of those opportunities around! 8) What’s your company’s greatest asset? Often glibly this is answered as “our people” but in our case it is absolutely true. Our drivers, operational and customer service teams as well as our sales and back office staff are all committed to the company success and achieving this through surpassing customer’s expectations. We have great systems and efficient processes but without the right people these are useless. 9) Do you use social media and if so with how much success? Yes we use twitter which is great for instantaneous news and updates. These updates include commentary on business initiatives, performance excellence as well as the charity work we commit to in the local community. In addition we use Linkedin a lot which we find hugely beneficial in terms of new business prospecting. 10) If you hadn’t gone down your chosen career path, what would you be doing? Dressing in a Pink shirt each day was not my chosen career! If I wasn’t doing what I am doing now I think I would be in the movies……. I am told I would make it as Shrek’s body double. Always employ a good accountant. 12) At what time of day are you most creative or inspired? When I am driving. Its quieter, often for prolonged periods and I am generally on my own so it is great thinking time. As a consequence I am always ringing myself (hands free) to leave messages of the ideas I have………. before I forget them. 13) How do you relax away from work? I am a keen but frustrated golfer (aren’t we all!!) and an overweight cyclist and spend most of my time doing one or the other. 14) When do you take a coffee break? To have a coffee (and actually break off what I am doing) there has to be someone else there – so when I am with someone from the team or with a customer/supplier. 15) Who would you like to have a coffee with? Justin Bieber. I need to tell him that although my daughter may want to marry him … it’s not going to happen! 16) What’s your coffee time favourite? Decaffeinated coffee at home and tea at work… though in reality, as I’m not known for my time in the kitchen (home or work), I will drink anything anyone else is prepared to make me.